45 Series Steady-on LED beacons are visual indicators suitable for use in indoor and outdoor applications. 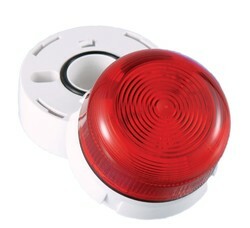 All 45 Series beacons are fitted with a diffuser for greater visibility and spread of light. They include a terminal block and a 27mm deep base supplied with a seal and grommet.